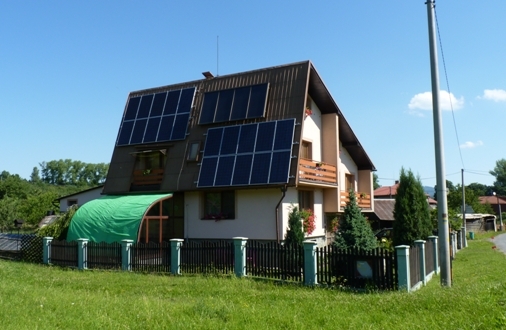 So finally you have decided to install solar panels on the roof, right? Well, that’s indeed the best decision you can ever make. Now, the second essential step that you need to make is preparing your home for the installation of the solar power system. You would probably ask how that is possible. Well, to guide you out on this, here are some amazing steps that will greatly help you out to prepare your home for the right solar system installation. Don’t believe me? Check them out here! A solar power contractor is the one that will be there while planning and installing solar system. You need to prepare for initial consultation and don’t forget to carry along a one-year history of the electrical usage along with you. This can help you greatly to decide the amount of space that will be needed by the system to produce similar amount of energy. After getting right recommendations from contractor, you will have a clear idea about where to actually place the solar panels as well as about preparing adequate space for the installation. Since the professional contractors always give the best idea depending on the condition of your roof as well as overall condition of your home. They will tell you about any such issues that can be an obstacle, so that you can take proper measure beforehand. So, you will ultimately have a handy list of what you need to do for an installation. You can visit sempersolaris.com to get the best suggestions for installation of the solar panels. Decide a sunny location and don’t forget to plan your finances as well! Solar power system requires sufficient sunlight in order to work at its best. In most of the cases, people usually opt for installing it on roof. However, there are also ground-mounted solar panels available that can suit various conditions. It is obvious that you have already decided a proper place for the installation following the advice of your contractor. However, if you have opted for even a slight shaded place, it can be a good idea to call a tree trimmer right away or a landscaper to maximize the area for sufficient sunlight. Moreover, after deciding the place, it is now high time to consider your finances well. Deciding for the price is also one of the most important decisions to make while installing the solar system. Determine your energy consumptions as well as the tax benefits. After that, make a detailed analysis on the overall cost involved in the installation. If you have decided to install the panels on the roof, you might want to consider replacing or repairing your roof before installation. Solar systems are generally meant to last more than 20 years that can actually be more than the lifetime of the roof itself. So, if your roof needs any kind repair works, you should better get it repaired before installing the system. If you are already refinishing the roof, then it is the ideal time to get the solar panels installed there. To conclude, solar panels can be a onetime investment. So, proper planning and a qualified solar contractor is all you need to get started. All the best!